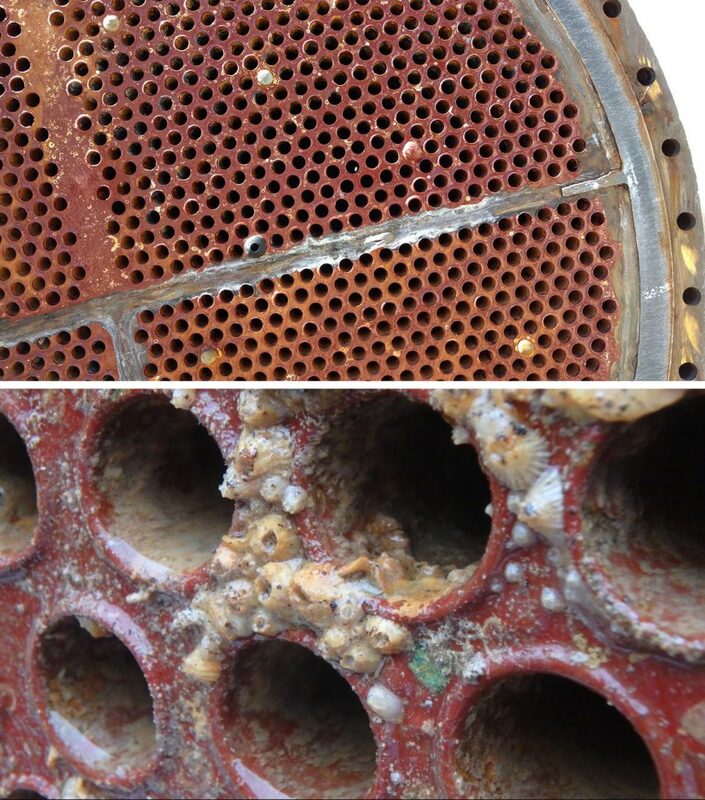 Heat exchanger fouling can result in major performance and operational issues. Over time, tube surfaces become covered by naturally built-up deposits to form an insulated layer. As the overall heat transfer surface becomes layered with particles such as ash, soot, bio, dirt, etc., an increase in energy consumption is required to compensate. 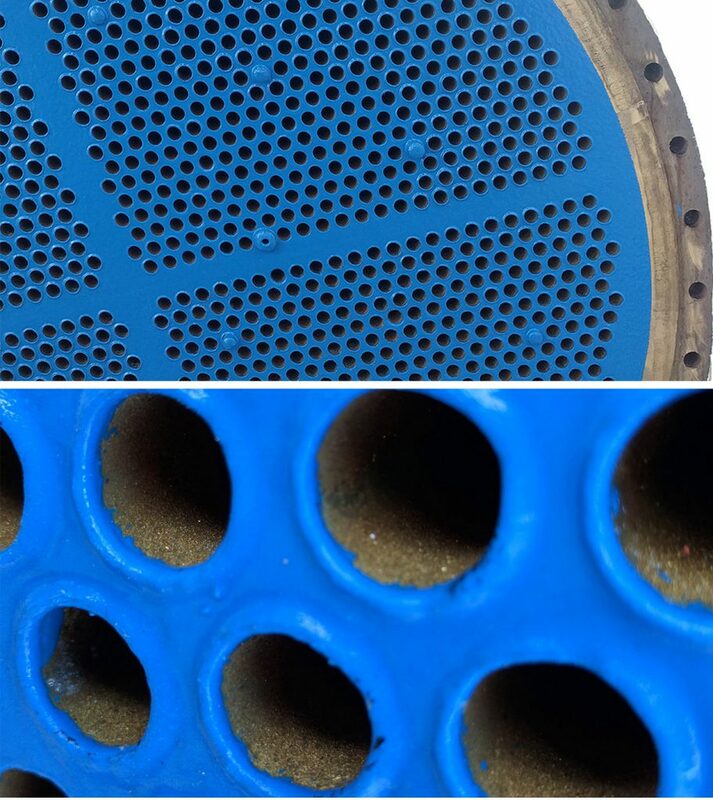 Eventually the heat exchanger must be brought offline to be serviced which can be very costly. Types of fouling include biological, chemical, deposition, corrosion, and precipitation fouling. Various strategies have been developed to reduce fouling. However, while many anti‐fouling solutions have been successfully demonstrated in the laboratory, they are typically expensive, decrease heat transfer performance, are not durable, and fail to demonstrate the same benefits under industry comparable process conditions. Due to the extreme low surface energy of the HeatX treatment, the treated surface becomes extremely slippery and minimizes the ability of fouling to bind on the surface and grow. HeatX does not contain any harmful biocidal compounds that are commonly found in anti-fouling coatings. Biocides often have negative environmental impacts on the ecosystem – HeatX is environmentally friendly. HeatX is a functionalized urethane treatment with high water and oil repellency. This water-based treatment can be applied to a variety of form factors including the interior of tubes in both straight and U-tube shell-and-tube configurations, as well as plate-and-frame exchangers. The unique surface nature of HeatX offers extremely low adhesion to both water and oil based materials resulting in drag reduction and improved fluid flow. Extreme thinness of the coating (<2 mil DFT), allows for minimal change in exchanger thermal efficiency.